I absolutely love graphic tees. And this one from Alice and Olivia is my new favorite. 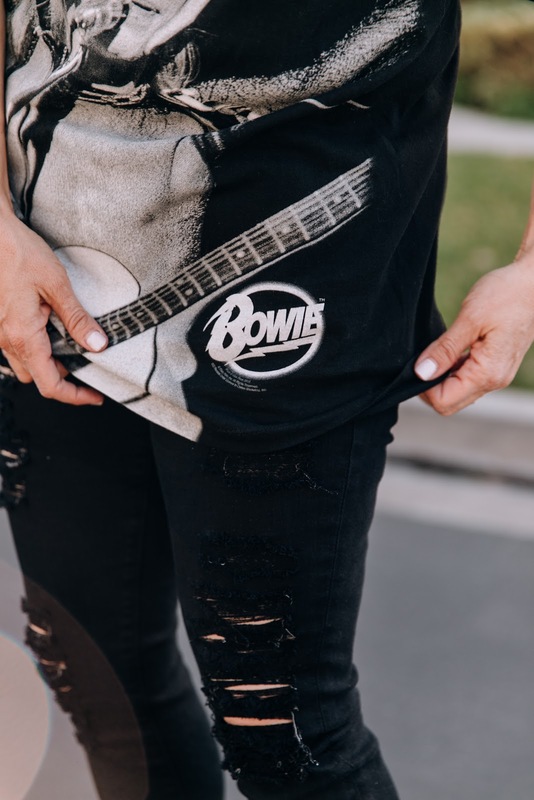 I mean, who doesn't like David Bowie right? 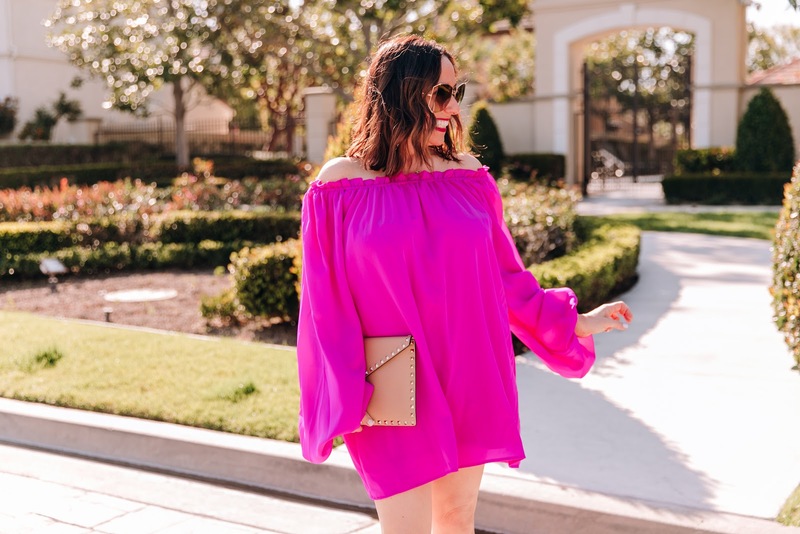 I love the cold shoulder detail. 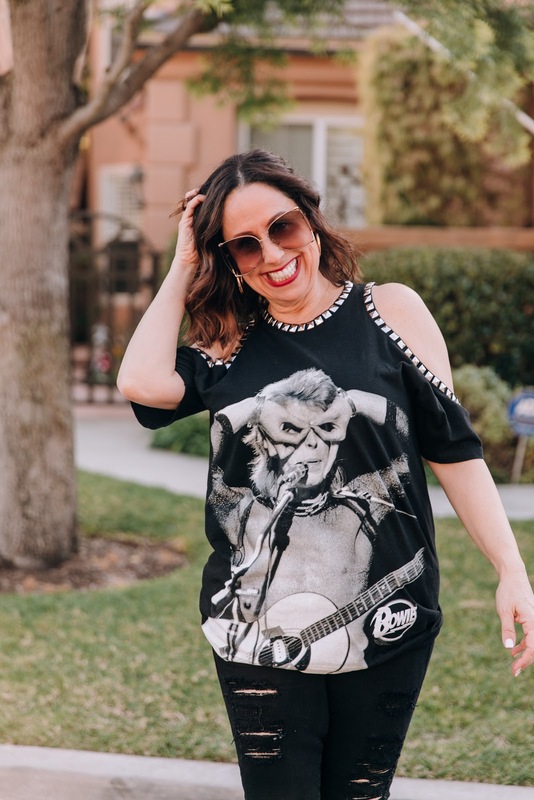 I think graphic tees, especially of rock stars make such a fun fashion statement. Ladies, you all need one in your wardrobe!!! 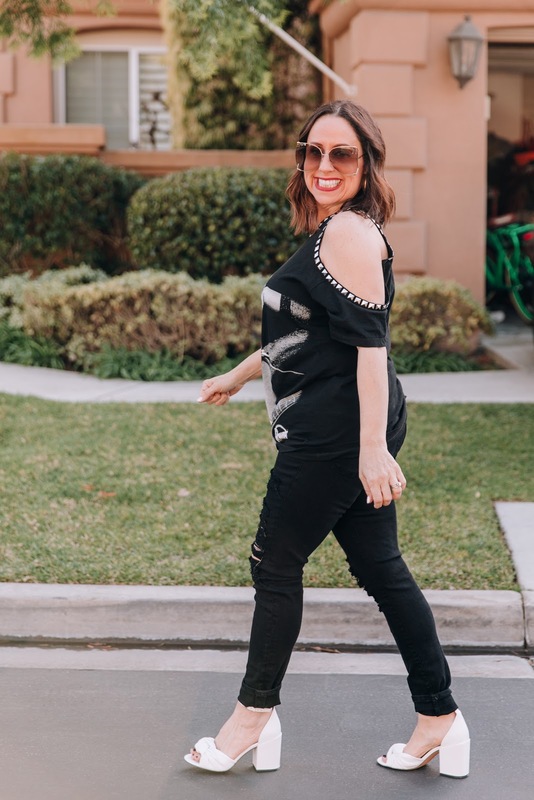 I paired this cute tee with my favorite black distressed skinnies and my new go to block heel from Rebecca Minkoff. And YES, you can wear white heels. They are so on trend right now. And can we talk about my amazing sunnies!!! This square lens is so fun right??? 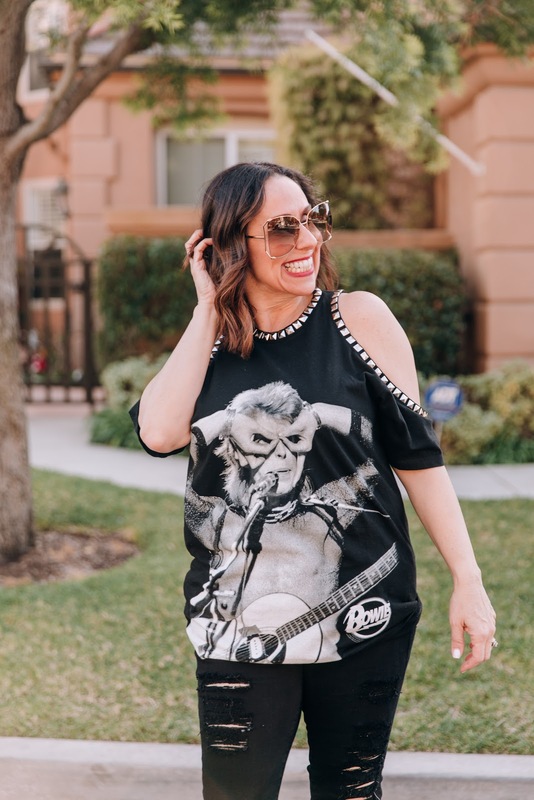 I hope you find a great rock star graphic tee and try to channel your inner rock star. I would love to hear about your favorites. Thanks to Kara Nixon for photos. You can shop these looks by clicking on the links above. Happy Reading!!! 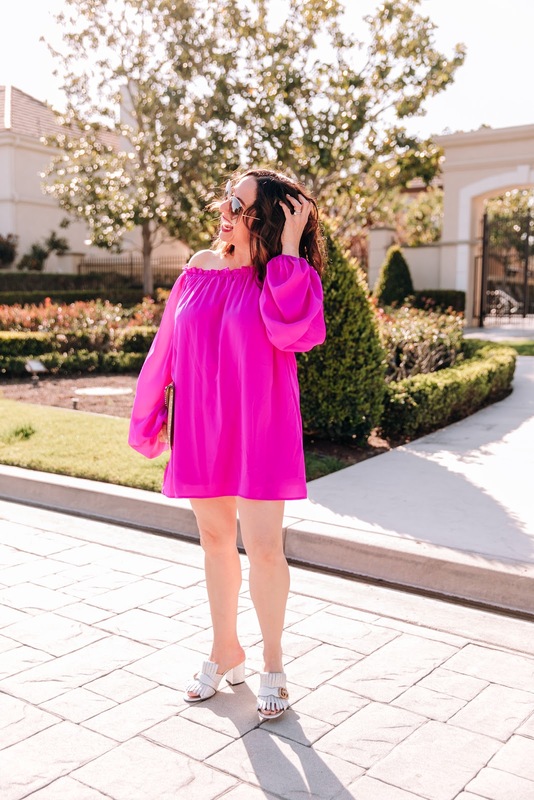 I think one of my favorite things about the weather finally getting warmer is wearing bright colors and fun dresses, like this one from Vici. 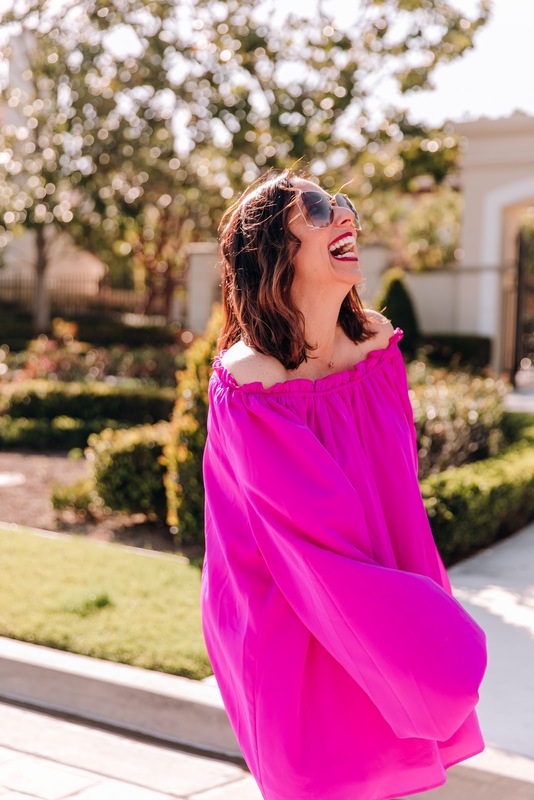 I am obsessed with bright pink this season, and this dress is the perfect addition to my spring wardrobe. Pink can be tricky though. What color shoe do you like wearing with it? I decided to add these amazing silver Gucci mules to this spring look. I love adding metallics with bright colors. Every fashion girl needs some metallic heels. They are so versatile and will literally go with everything. 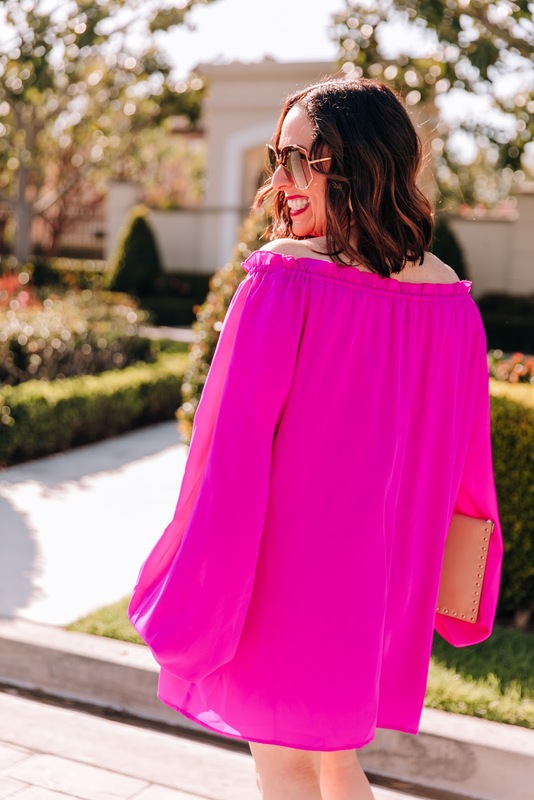 So I highly encourage you to try adding a bright color like pink and some great metallics to your spring wardrobe. I promise you will love it!!!! Thanks to Kara Nixon for photos. You can shop these looks by clicking on the links above. Happy Reading!!! Happy Spring. I'm a little late, but wanted to share some of my favorite March Instagram looks. It's finally spring time. Yay!!! This is my favorite color and coat for those spring nights. Read all about it in this post. 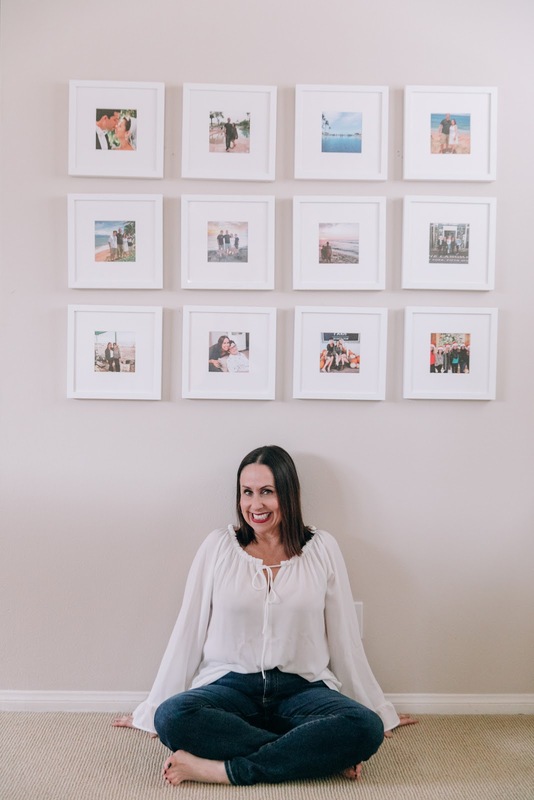 I love home decorating and the perfect way to freshen up my home is with Framebridge. You can read all about this amazing way to give new life to your favorite pictures in this post. I had the best time at Morning Lavender having tea with some of the cutest girlies. You can read all about it in this post. I love finding new workout clothes and you can read all about these cute leggings from Niyama Sol in this post. 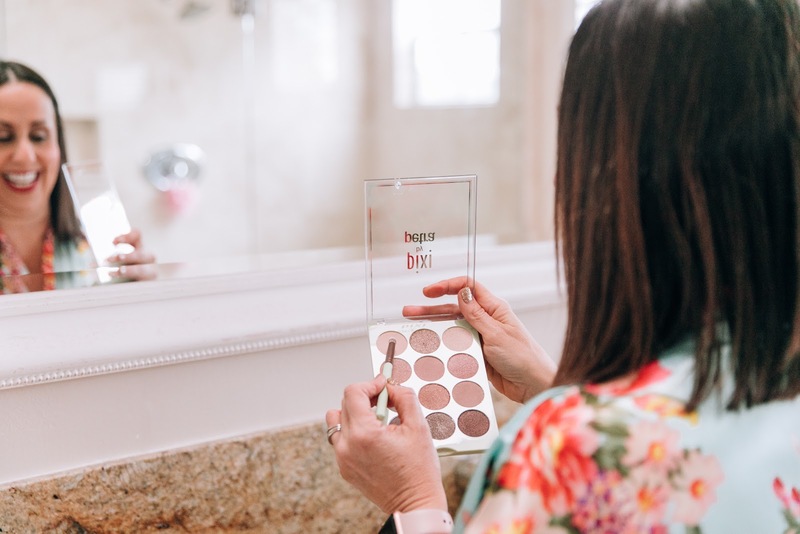 I love trying new beauty products and this Pixie palette is amazing. You can read about it in this post. 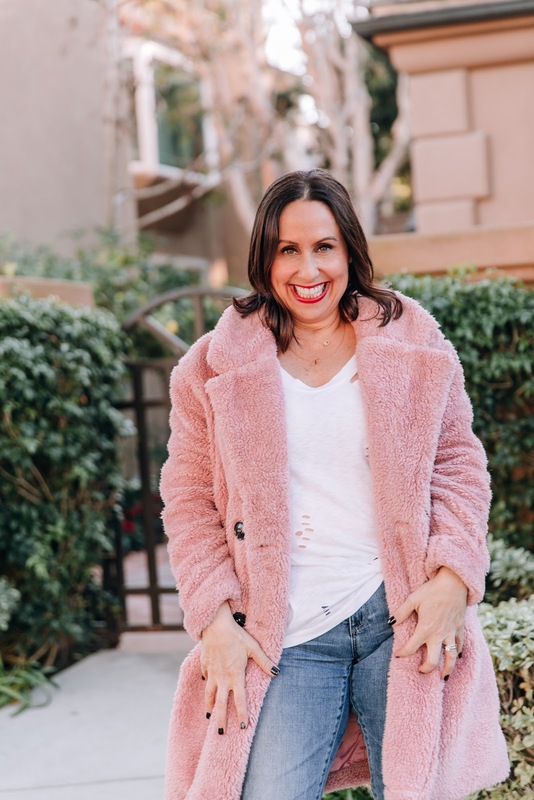 I am sharing all about some of my favorite closet staples in this post. 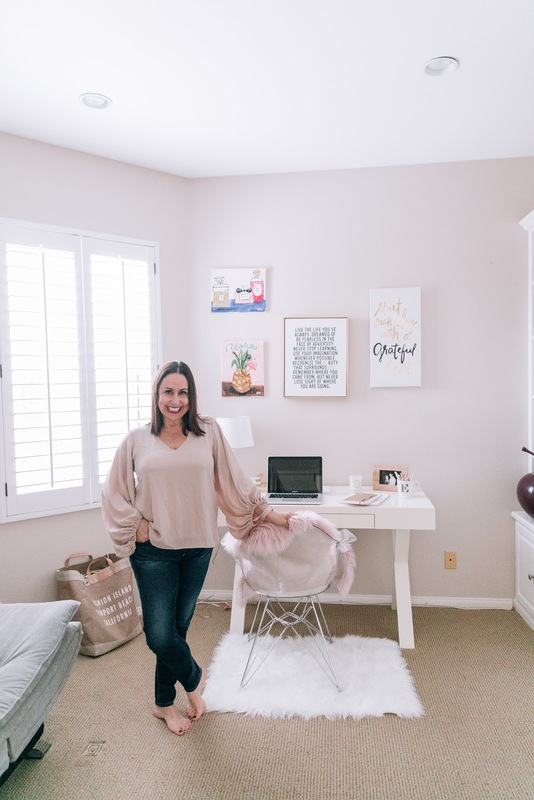 I'm so excited to share all about my new home office in this post. 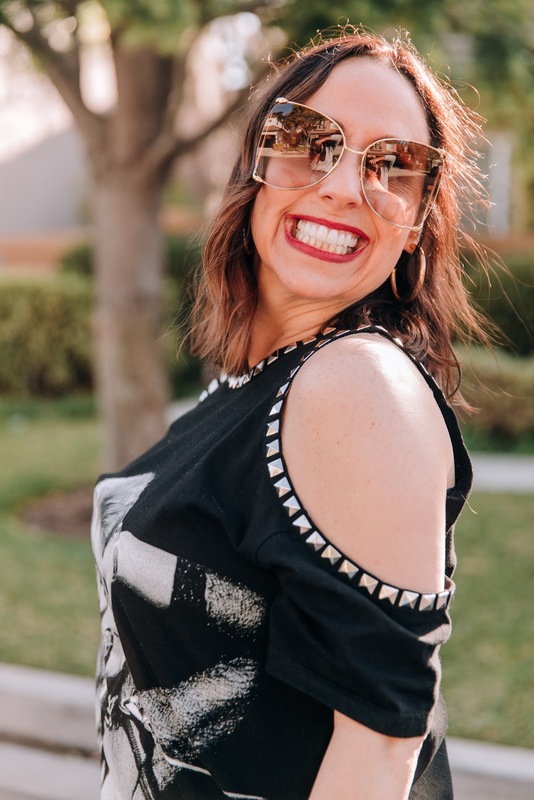 I love wearing hoops all the time and I'm sharing some of my all times favorites in this post. Don't you love spring, especially all of the beautiful colors? 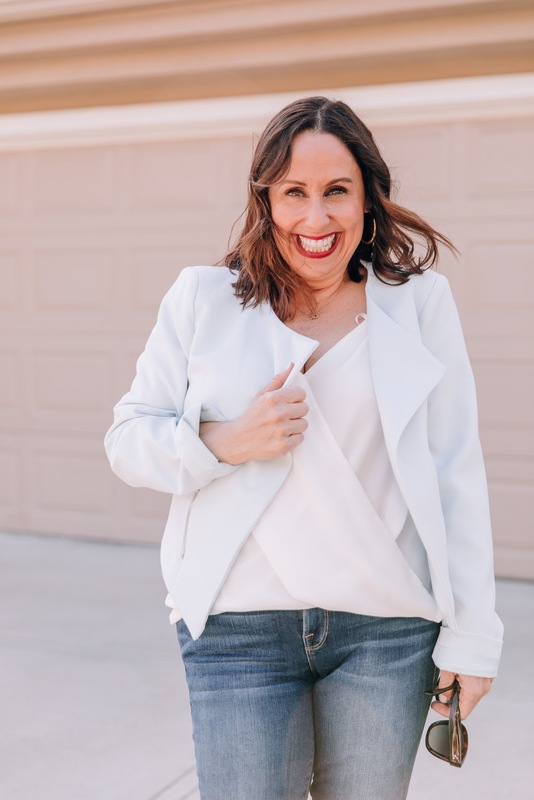 I'm sharing some of my favorite spring colors like this light blue blazer in this post. I hope you are having the best start to spring. Thanks to Kara Nixon for photos and you can shop these looks by clicking on the links above. Happy Reading!!! !